The Consulate General of Italy in Miami with the support of the Italy-America Chamber of Commerce Southeast and the Italian Trade Agency has recently published a joint report regarding the Italian presence in the south-east of the United States, with a particular emphasis on the economic and trade aspects. 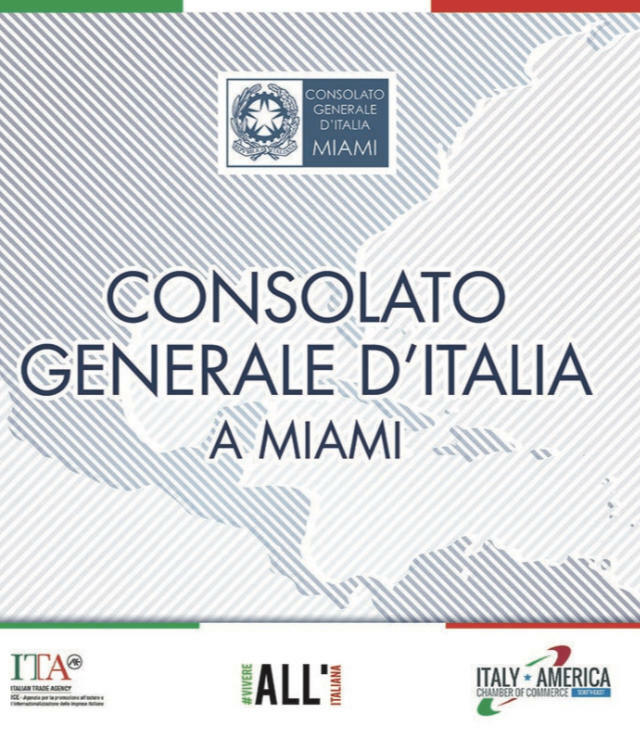 The jurisdiction of the Italian Consulate in Miami includes Florida, Alabama, Georgia, Mississippi, South Carolina and Caribbean Islands such as Puerto Rico, Bahamas, Jamaica and Cayman. Italy benefits from a trade surplus with the U.S. Southeast of about 3 billion dollars a year. In 2017, Italy exported products for over 5 billion dollars while it imported just over 2 billion dollars. The most exported Italian products are related to the automotive sector, industrial machinery and home furnishings sectors. There are a total of 216 Italian firms with commercial offices or production sites in the region. Florida leads the ranking with 114 Italian companies, followed by Georgia with 59. The direct jobs created by these companies are over 8,000. Click here to download the report in Pdf version.